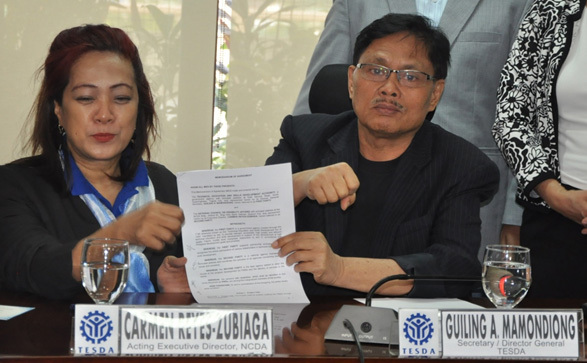 The National Council on Disability Affairs (NCDA) and Technical Education and Skills Development Authority (TESDA) partners to give free skills training for persons with disabilities nationwide. Under the “Training for Work Scholarship Program (TWSP),” TESDA will provide skills training so that the persons with disabilities could receive the National Certificate which is necessary for job application here and abroad. The TWSP project is also in line with TESDA’s Two-Pronged Strategy on Poverty Reduction which aims to provide interventions through skills development by providing access to training to qualified persons with disability for self or wage employment to uplift their socio-economic status. How to avail the TESDA Certification po…? I am very much interested to have a CSS/NC2 Certification as it is my passion. If you need a PWD Website Developer and other IT related concerns, please visit my website and I lists all my area of expertise. Pano po mag’avail para maging part ng program ng TESDA? Gusto ko po magstart dito. And hopefully, magiging malaking tulong to para makapag’apply ako sa mga at the same mapakita ko din yung kakayahin ko.